Have you ever dreamed of owning a muscle car, but thought that this was not the time to purchase one because of the cost? Stop by Car Credit Tampa and check out our inventory on used Challengers. The Dodge Challenger has in your face attitude with a big presence and big power. As you are riding around town in your muscle car, you will know that regardless of the heat, the used Challenger comes equipped with air conditioning. Just one more thing to turn heads as you turn the corner. If you ever have to park you, Challenger, you will feel secure knowing that it comes with a key fob and remote keyless entry. The Dodge Challenger comes standard with a 3.5-liter V-6 engine. The Challenger can get up to 17 miles per gallon in the city and 25 miles per gallon on the highway. The used Challenger can seat up to five comfortably and has a large trunk space with 16 cubic feet of space. Adding to the fun, the used Challenger comes standard with a four-speaker audio system and CD player. Despite being a muscle car, the used Dodge Challenger has a quiet interior, and the ride is smooth. Safety is a top priority for Car Credit Tampa and our customers, and the Dodge Challenger comes with high safety ratings. The used Challenger comes with anti-lock breaks, stability control, and driveline Traction control. Seat belts- which are always your first line of defense when it comes to accidents, have pretensions. In addition to seatbelts, the Challenger also comes equipped with front impact and overhead airbags. There is also a security system. 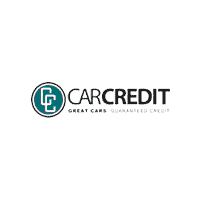 At Car Credit Tampa we have over 500 used vehicles in stock at our four different locations. 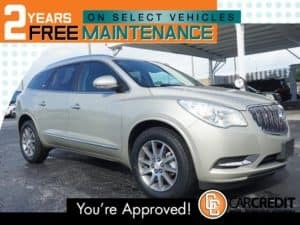 Check out what we have in stock and what specials and deals we may be running at carcredittampa.com. You can also contact Car Credit Tampa at 877-696-8226 to talk to one of our friendly, experienced and bilingual staff members.